France has one of the largest number of nuclear power plants in the world and they are being inundated by UFO sightings. UFOs have once again been seen over a nuclear power plant in France. The latest UFO sighting occurred on January 3, 2015 by two security guards at a facility in Nogent-sur-Seine southeast of Paris. Workers observed two objects over the grounds and alerted the police. The police claim that they will file charges if they can locate the responsible party. The media "speculates" that these objects are drones, but the witness are not so sure. If they are drones then the government has no idea who they belong to. 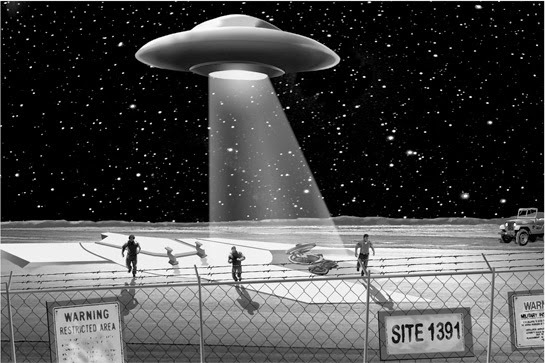 UFOs have had a long history of hovering over nuclear facilities, especially military bases, in the United States and Russia. There have been eighteen separate UFO Sightings in France over Nuclear Power Plants between early October and November of 2014. Some plants were simultaneously affected. In late December a UFO was spotted and reported flying over a nuclear power plant in Belgium. The power plant in Doel is located about 10 miles from Antwerp. The Doel plant has been shut down for four months due to sabotage. No other details are currently available. The authorities suspect that an unknown group is responsible for these coordinated occurrences. In the meantime the French government remains on high alert to any unidentified flying objects over Nuclear facility air space. Theses incidents have sparked a debate about the safety of nuclear power plants. While the French government stressed that nuclear power plants are safe, environmental organizations have accused the government of downplaying the danger. France has 58 reactors in 19 nuclear power plants Air traffic is not allowed within five kilometers of the equipment.